In the last few posts I laid out a 3D picture of ASD that integrates degree of atypicality, level of general intelligence, and age (or Time). In this model, we can think of atypicality as a chunk of ice floating in the water. The size of the chunk of ice corresponds to the degree of atypicality, and the water temperature corresponds to the IQ. Just as in the real world, the warmer the water (i.e. the higher the IQ) the faster the “ice” (atypicality) melts over time. 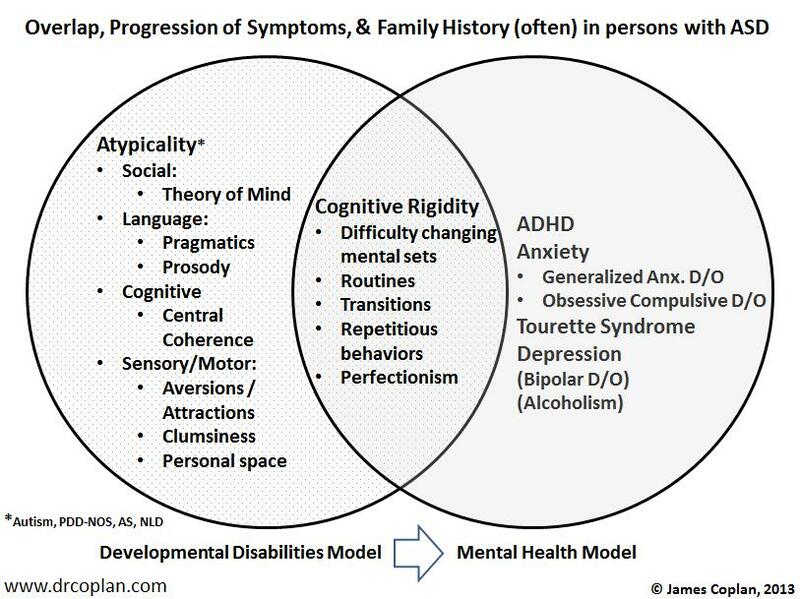 Children who start out with moderate to mild atypicality combined with normal IQ, shed many of the outwardly visible features of ASD during childhood: Eye contact and language improve, while social isolation, stereotypies and sensory issues diminish. As adults, some of these individuals no longer meet the behavioral criteria for ASD.